The Ubuntu Theater Project’s summer series offers affordable, community-oriented theater in unorthodox spaces. A Waiting for Lefty rehesarsal. The Ubuntu Theater Project is founded on the Zulu proverb "I am, because we are." The phrase is a source of inspiration for a number of organizations around the world that aim to invigorate the collective human experience by connecting people. The emerging local theater company aims to do this by offering affordable, heart-pounding performances on socially engaged topics in community spaces. 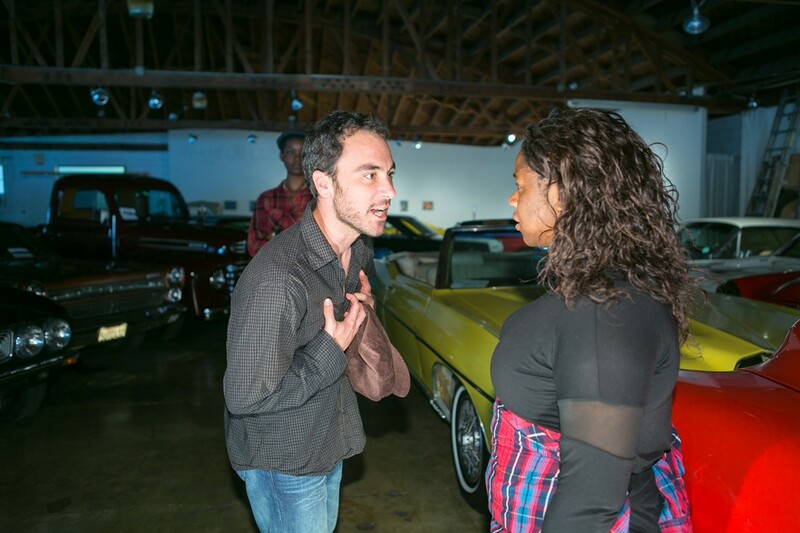 The company came together last year when a number of actors, directors, and designers from the University of San Diego's MFA program decided to collaborate with similar-minded folks in the Bay Area for a summer festival called Breaking Chains. The program included four plays, each staged in a different city. On September 5, Ubuntu's second — and likely final — edition of the summer festival begins, as the company plans to produce its first full season next year instead. This year's Breaking Chains consists of six plays put on at five different venues. Tim Price's The Radicalization of Bradley Manning and George Brant's Grounded both involve military narratives, and will be performed back-to-back in the Oakland Aviation Museum hangar, with planes providing the backdrop for the stories. 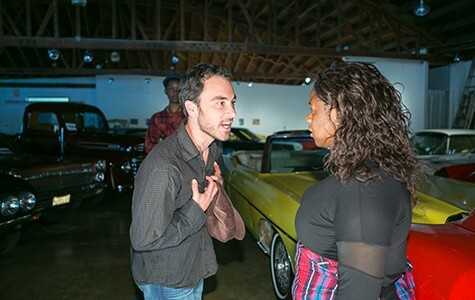 Another double feature will begin with N'Jameh Camara's Marguerite to Maya Angelou: A Moment in Prose at art gallery Warehouse 416, and end with Clifford Odets's Waiting for Lefty at the automobile shop and gallery Classic Cars West — a fitting location for a play about cab drivers. In addition, the company is working with local playwright Marcus Gardley (whose last play, The House That Will Not Stand, premiered at Berkeley Rep) to specially tailor his latest work, Dance of the Holy Ghost, for Ubuntu's ensemble. They will perform it at Envision Academy with a large chorus of local community members. Ubuntu is also co-producing Campo Maldito by Bennett Fisher for the San Francisco Fringe Festival at Exit Theater. The programming touches on issues that the company believes will be relatable to East Bay citizens. The Radicalization of Bradley Manning, for example, is about free speech, incarceration, and gender identity. "Theater has the ability to breakdown polarizing views ... to dispel the otherness that can happen, especially when you think about things like racial tensions or immigration reform," said managing director Colin Blattel in an interview. "With theater, there is a core human element." One of the other core pillars of Ubuntu Theater's mission is accessibility. Tickets for each performance will be available online on a sliding scale from $15-$20. They will also be available at the door before each show, also on a sliding scale, and no one will be turned away for lack of funds. In addition, patrons can purchase a festival pass for all six shows for only $35. "When you are doing shows that are reflective of diverse communities, and people get to see people who look like them represented on stage caught up in relatable storylines, that gets us at our core," Blattel said. "And we believe that's almost a universal right."